OPW 21BV-0050 1/2" Full Port Two-Way Ball Valve is used throughout fueling systems where a shut-off point is desirable to isolate a section of the piping system. OPW 21BV-0075 3/4" Full Port Two-Way Ball Valve is used throughout fueling systems where a shut-off point is desirable to isolate a section of the piping system. OPW 21BV-0100 1" Full Port Two-Way Ball Valve is used throughout fueling systems where a shut-off point is desirable to isolate a section of the piping system. 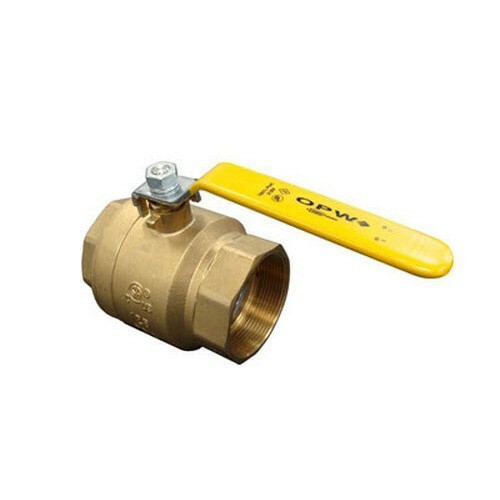 OPW 21BV-0150 1 1/2" Full Port Two-Way Ball Valve is used throughout fueling systems where a shut-off point is desirable to isolate a section of the piping system. OPW 21BV-0200 2" Full Port Two-Way Ball Valve is used throughout fueling systems where a shut-off point is desirable to isolate a section of the piping system. 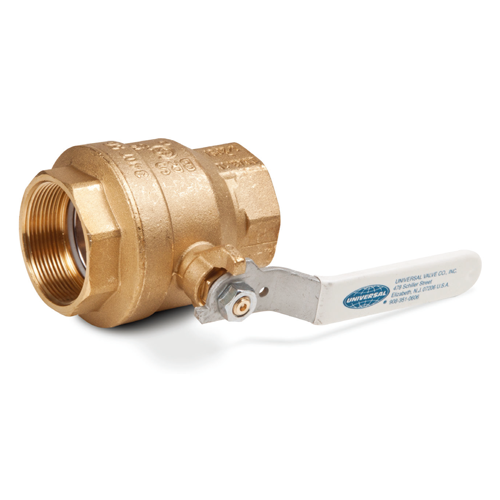 Universal 213FP-20 2” Brass Ball Valve features easy line shut off, used to prevent system shut-down during maintenance.